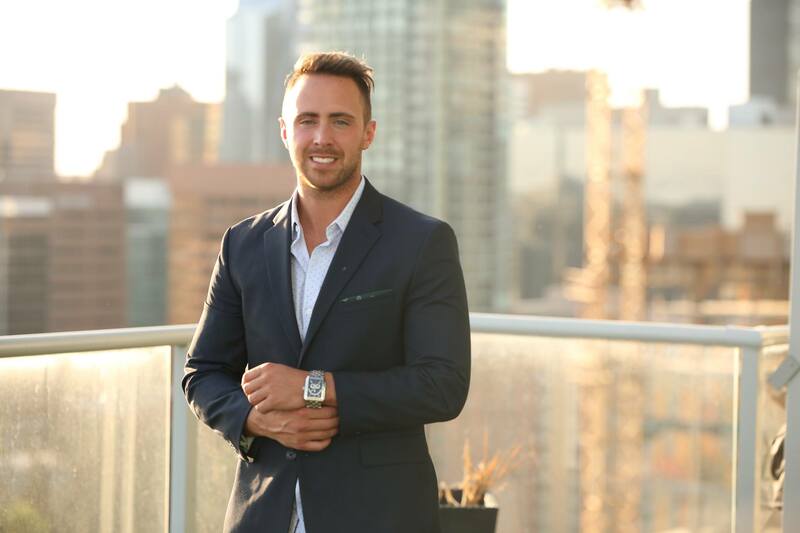 I was able to have a quick chat with Braydon Ross who is the CEO and Founder of multiple start-ups in the tech and real estate space, where he works to benefit the trend of a sharing economy by partnering, leveraging and innovating on the ever-growing space of SAAS based services and Airbnb real estate. In your own words, what’s your story Braydon? As a 24 year old full time online entrepreneur I spent almost 5 years in University taking both environmental health and safety and business. I decided to pursue a life on my own terms in my 4th year of business school. After being awarded the entrepreneurship and innovation award out of the entire college at Sait it became the stepping stone that really made me want to push through to becoming great and influencing other aspiring entrepreneurs around the world. It all began with my TV streaming business called “Rossbox”, which would solve a massive problem by allowing users to reduce their cable bill by using this “one time fee” device that would revolutionize the way people streamed their favourite TV series and movies from anywhere at any time. Starting in June 2016 I spent the summer months where I walked away from a temporary bar managing job that was supposed to suffice my income needs until I was ready to go back into my last year of business school that following fall. I decided on July 1st, 2016 that this “Rossbox” idea was something I was going to take on full speed ahead. Fast forward into my first three months in business, and business was booming. I was leveraging the local community Facebook group to spread the word about this revolutionary product as I knew Langdon was full of couples raising a family which was perfect for the product I was trying to sell. Families are always trying to cut down on expenses and this allowed them to watch any on demand show or movie without paying hundreds of dollars a month. That September my first car died on me, which was a 2006 Blue Kia Rio (I still miss that car). I used the savings I had made to purchase a brand new 2016 Scion FR-S all on my income I had earned through Rossbox. I knew with the winter months coming and me wanting to expand out of Langdon a good car was definitely necessary. BUT WAIT… I should have mentioned that my first month in business I only made $850 because I would leverage the comments people made on my Facebook groups and reach out to them personally to offer a FREE demo. I would literally drive around and even bike around with a backpack full of these “Rossbox’s” and spend Monday – Sunday doing free demo’s in the community to people interested in the product. I leveraged the buyers I had by building a referral-based system for every 5 people who bought they got a free box and an upgraded keypad remote. Before I knew it, Rossbox had taken over half of Langdon, Chestermere and parts of Calgary! Now Rossbox has transformed into a fully subscription-based business where users receive a much more higher performing box with 4K capabilities and remote access from the support team for instant solutions to any problems that may arise. Now to take business to the next level as Tai Lopez puts it “Stop being the foot soldier and become the general”. I built a fully functioning affiliate system as of April 2018 where affiliates would use their own network of people and earn a commission based off of the sale, they made for Rossbox. PHEW! I am sure that was a lot to read but it is how I was led into my next business! I made my second biggest purchase 6 months after starting Rossbox in January of 2017 where I bought a 1 bedroom 1 bath condo in a nice community in downtown Calgary. The lightbulb went off once again! I had been hearing a lot about this Airbnb thing people were using and did my research. The idea of listing my unit on Airbnb during summer months was genius as it would pay for the mortgage payments and afford me to travel so most of my travel expenses would be free. I did just that! I had my place fully listed on Airbnb by June 2017 after coming back from what would be a year long journey of travels starting in Hawaii for my parents 25th anniversary. I bought the furniture needed and got to it! At the time I was teaching myself SEO (Search Engine Optimization) to enhance my listings search visibility in the Airbnb search results embedded within the web page so I could show up on page 1 and get consistently get booked out. Month 1 was a 78% booking rate and by July I was 90% booked charging anywhere from $180-$320 CAD a night, making a full time living off Airbnb. I went on to attain 2 more properties in 2017 and now have an almost fully automated business on Airbnb that only requires 5-8 hours a month and I am now managing over 100 properties. From Airbnb I decided I wanted to expand my knowledge on how to become the greatest digital marketer I could become. I was able to land 3 dental clinics in my first week of starting my marketing agency and I had actually only completed 5 of his videos before I took initiative and formulated a plan which ended up landing me a long term client and making $35,000 in my first week from 3 dental clinics under the same owner. This was recorded and documented by Tai Lopez himself and the numbers were verified by his accountants and contracts analyzed by his lawyers. I was invited to teach in SMMA 2.0 for Tai Lopez and built a strong friendship with him and his team. In just under 3 years, I had been recently announced as one of the “Top 10 Entrepreneurs Under 30” by Entrepreneur magazine. I also personally help teach Social Media Marketing and Airbnb for Tai Lopez. I was discovered by Tai Lopez and his team for his remarkable success in the social media marketing and Airbnb industry after pushing over 7 figures a year at just 24 years old. I was named as one of the “Top 300 Rags to Riches” students out of hundreds of thousands of learners who learn from Tai Lopez for being able to achieve over 7 figures in these industries. The 300 group are hand selected, quizzed on their personality, verified by Tai’s accountants and lawyers for documentation and credibility to ensure their validity of their statement of success is 100% honest. I have also been reached out to by Gary Vaynerchuk to be a part of his inner circle for his ability to educate and influence his Instagram audience and build an incredible personal brand. He has also caught the attention of Grant Cardone and his team and is currently pursuing real estate Airbnb deals with him and his team. Such amazing achievements! So, What happened next? I currently have over 5000+ students I have taught from all over the world for the Airbnb business and am working strategically with large partnerships with some of the biggest names in the world. I currently run an advanced VIP Airbnb coaching program for $500 USD and guarantee all students 1 Airbnb in 30 days or less in our group learning setting of 30 or I will work with them 1 on 1 until they do. I show people how to get their first property without putting any money down, needing no credit and not having to purchase any real estate whatsoever. Readers can find more information on my Instagram page @ibraydonross . Thank you for sharing your amazing story Braydon! Do you have any last words of advice for readers? My biggest piece of advice for readers is to shift your focus onto the sharing economy. Look at Uber, Amazon, Alibaba, Airbnb and Turo. They own no inventory and leverage other people and act as a middle man. As long as you are able to connect people and resources you will not only make a great living but impact many people for the better.